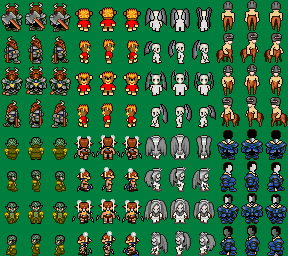 Here are some charsets I created for RPG Maker 2000/3 using Character Maker 1999. 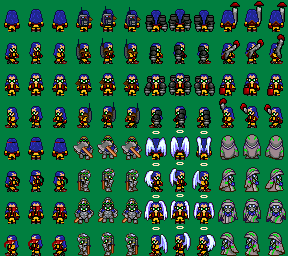 Visit the RM2K3 Character Sets page for more, then right-click and "Save Image As" to the hard drive. Do NOT save the images into your project Charset folder. Import them instead. View more RM2K3 Character Sets.